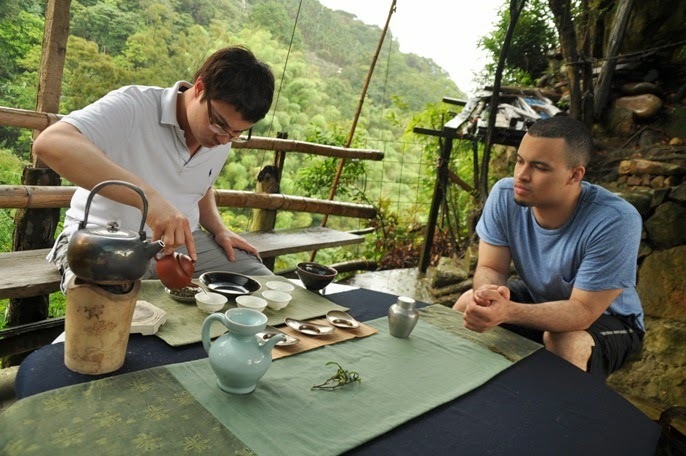 3 of my tea students from the Tea Institute at Penn State University are visiting Taiwan right now. 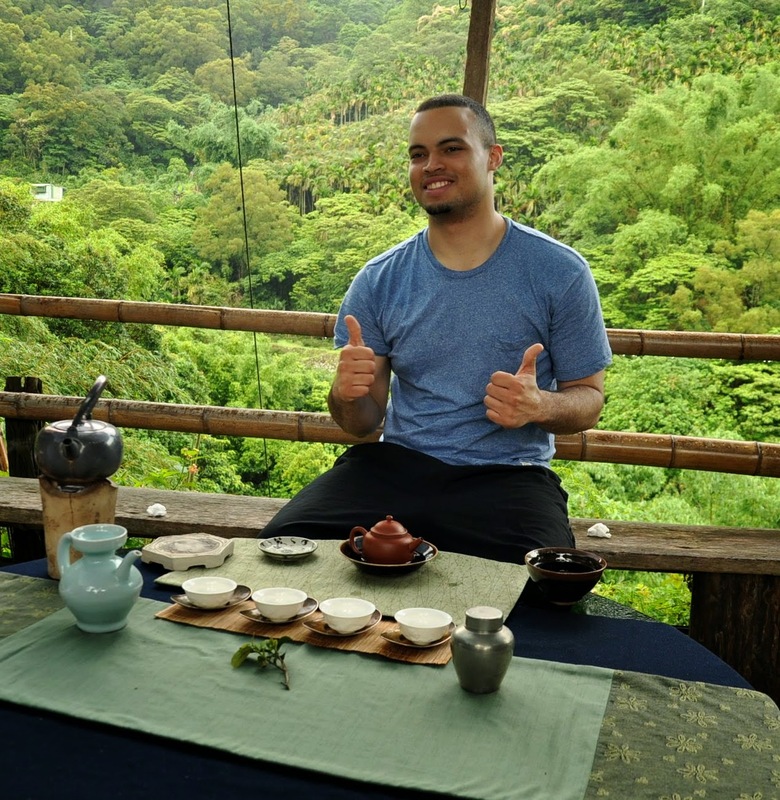 What would be a good place for them to fully enjoy and appreciate a High Mountain Oolong? 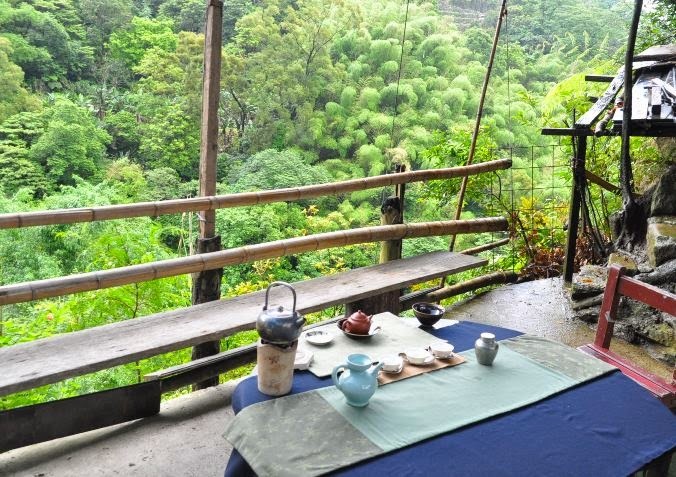 Well, on a warm day in May, that would be a spot in a Taiwanese mountain, overlooking tea fields and bamboos. And that's the place where we went this Tuesday! Outdoors, the heavy and sweet flower smells of the forest permeate the air. It's hot and we are longing for a cooling tea. This makes high mountain Oolong a perfect match for this occasion. We brewed Oolongs from 3 different mountains to taste and compare these mountains. 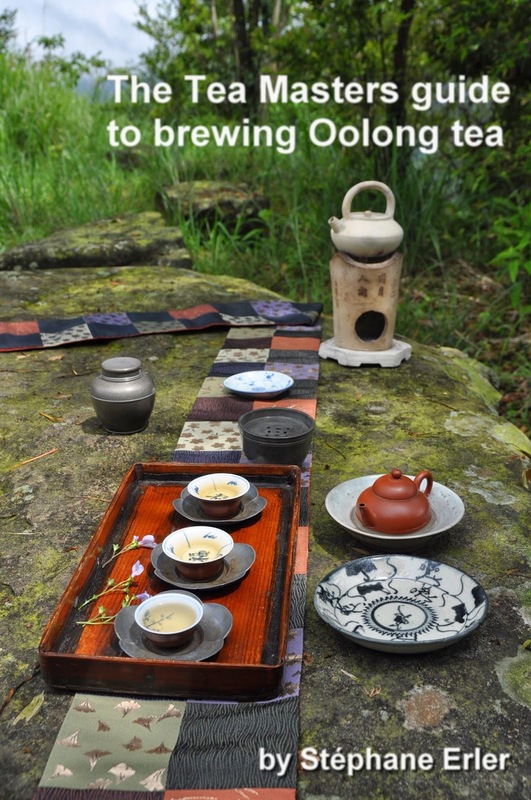 We started with my Qilai mountain Oolong of Spring 2013. We used charcoal to boil the water in the silver kettle. This made our water very precious, because the Nilu only produced a limited amount. 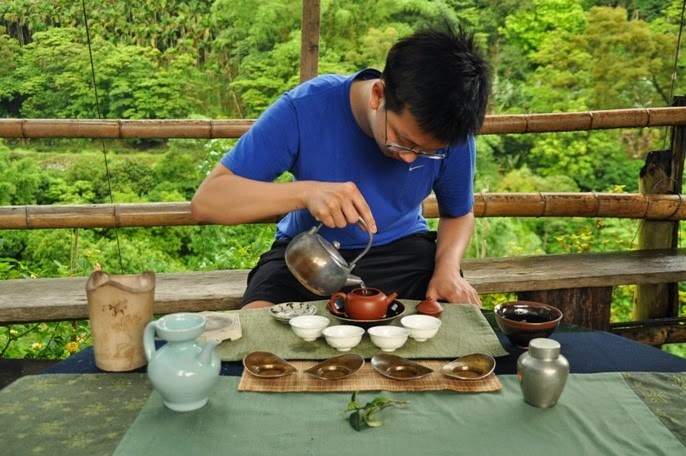 But less is often more in tea: it made us more careful in our movements and focused on the teas we brewed. Everybody loved the Qilai and felt it had a very creamy, buttery taste with lots of freshness and sweetness. There's also dry, rocky feeling which creates a very pleasant aftertaste. It's only after the first brew that I told them that it's from 2013. Nobody had found any sign of it being old. 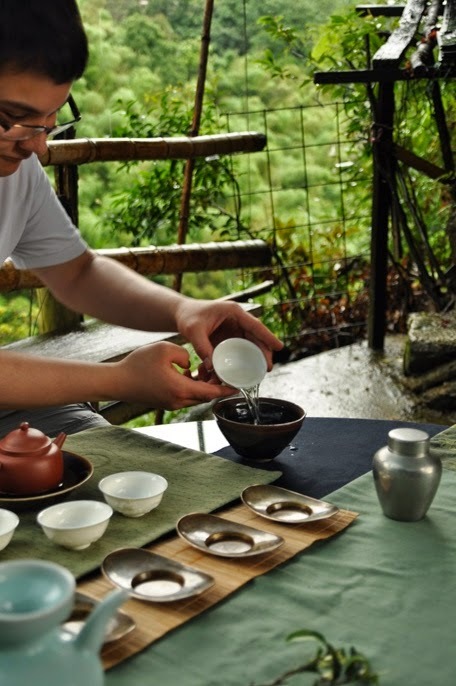 They all felt it had the freshness they are looking for in High Mountain Oolong. 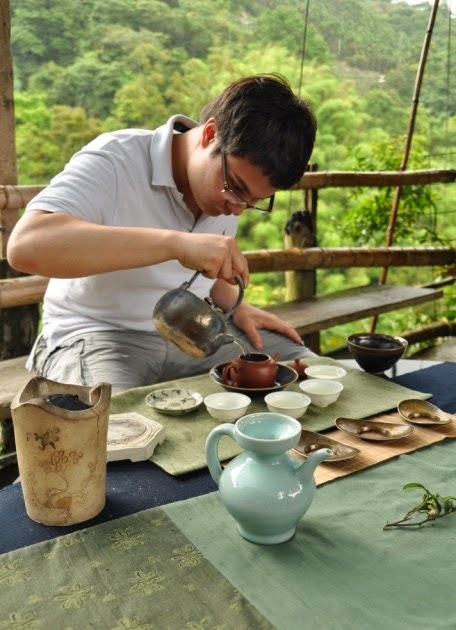 Next, Ryan brewed the Lushan Oolong. The package mentions Da Yu Ling, but this is a kind reminder that you can't trust a tea package. 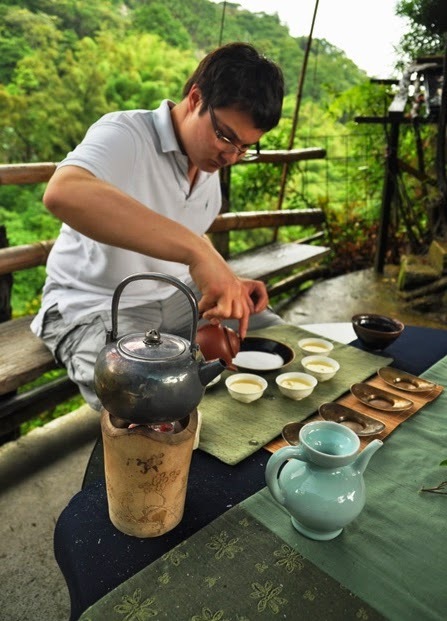 It's all too common for teas to be 'upgraded' by the farmers, because the famous names sell better than some obscure mountain that is just starting to be developed. 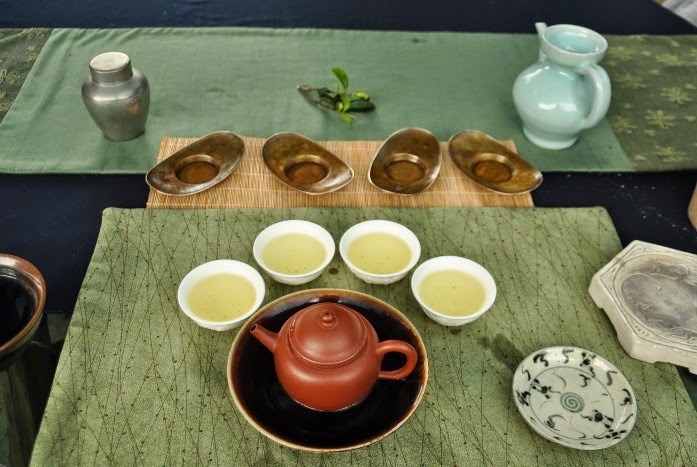 The reason for selecting this Lushan is that it has indeed certain qualities that make it very similar to a Da Yu Ling Oolong, even though it comes from an elevation at 1600 meters (only). 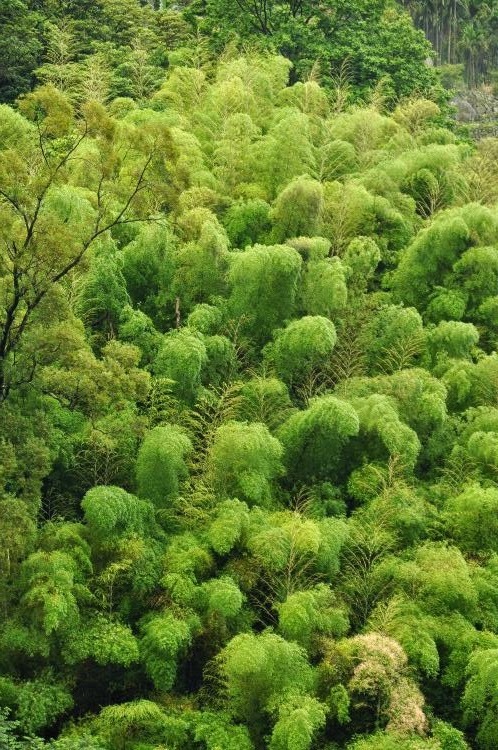 The leaves are particularly thick and rich, because the plantation is new and the soil very rocky. 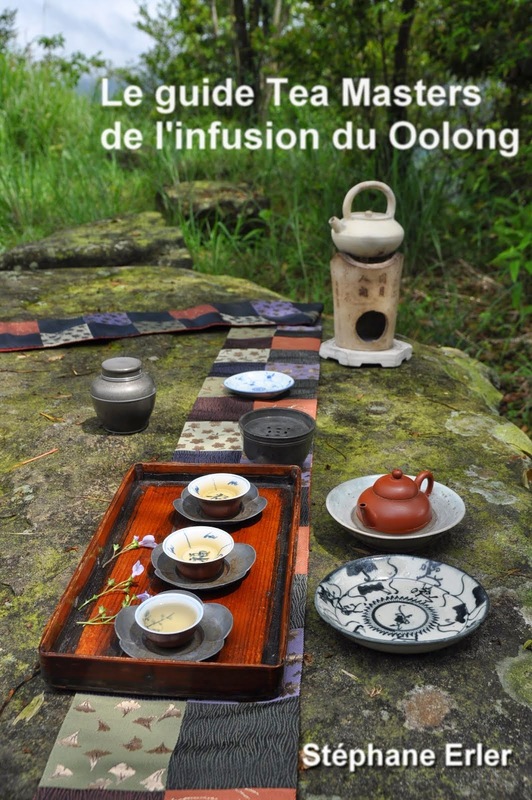 This Lushan Oolong tasted differently than the Qilai. I think the main difference was in the energy level felt in the aftertaste. This felt more powerful and direct. But it shared the same freshness and clean taste in the mouth. And that's despite the fact that we used relatively more leaves, because we're brewing outdoors where we are more easily distracted. 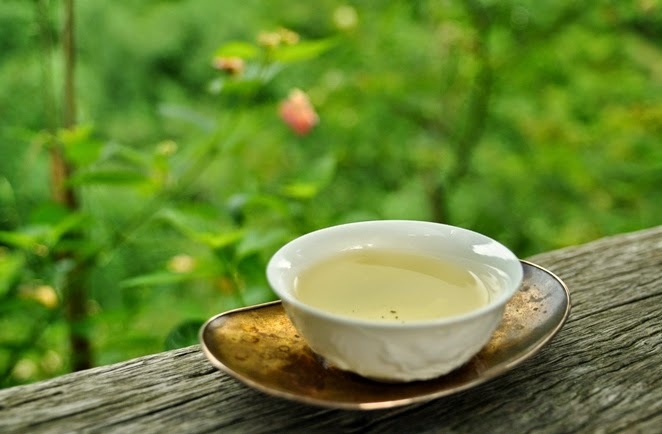 This is a character of great quality teas: they feel stronger and more powerful, but at the same time, there's a lightness and clean feeling in the mouth. The concentration and steady hand of these students is impressive and an example to follow. While brewing, they only have eyes for the teapot. Their brews were very successful and they always managed to open up the tightly rolled leaves well. 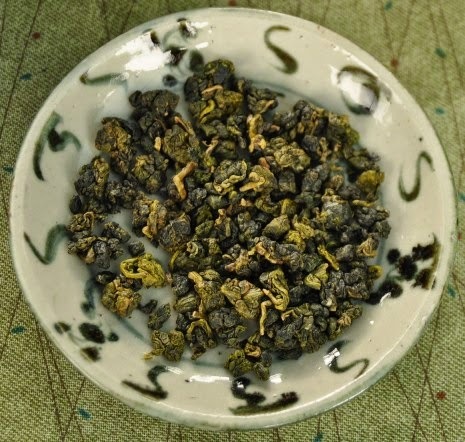 The Lishan Oolong has a little bit longer leaves than the Qilai and Lushan. But in terms of concentration of flavors, it's pretty similar. The overall feeling was almost lighter, more subtle and elegant. 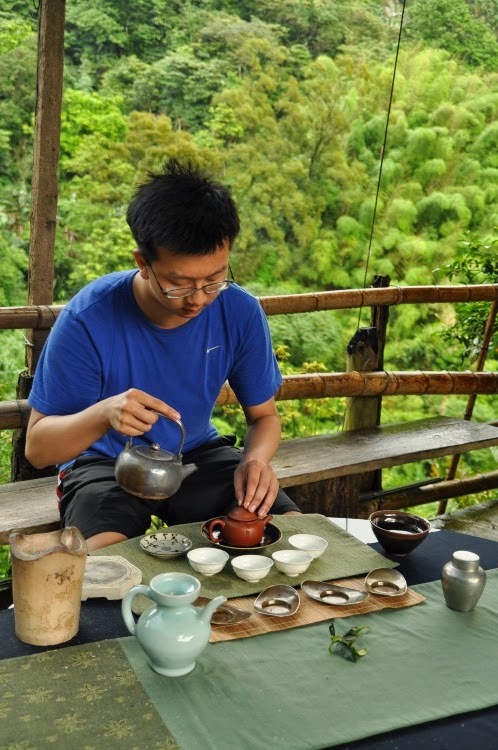 He's using an 80s zhuni teapot. 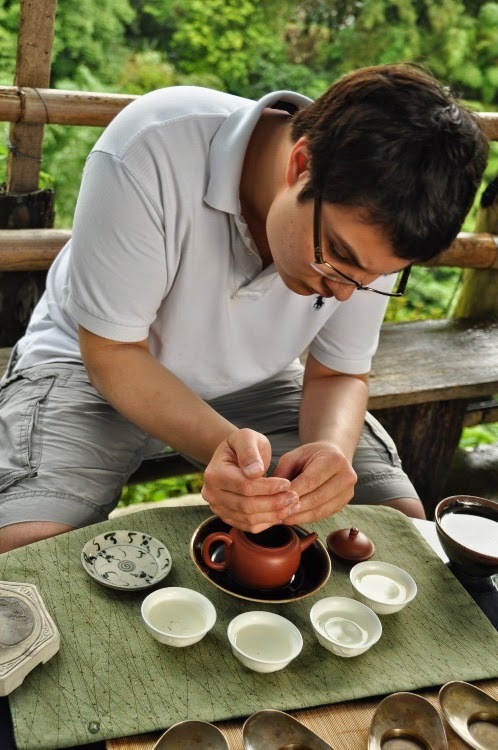 Its hard clay is a great match with fragrant Oolongs. There's very little rounding of edges, but an added intensity due to the very high heat retention of this teapot rich in iron. 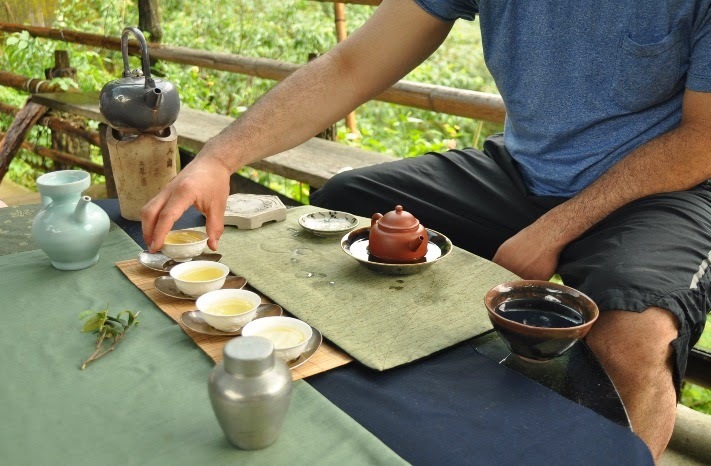 Tasting 3 different high mountain Oolongs back to back in this luscious forest with changing weather was a great experience for all of us. Ryan, Merv and Jeff have accumulated a whole new set of tasting data and taken detailed notes. For the future, they have now high and clear standards. Quenching our thirst for knowledge. Thank you Stephane! 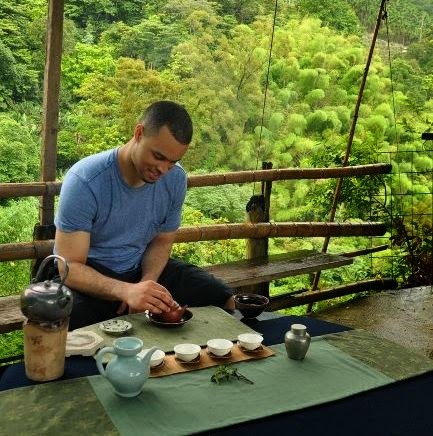 The day was incredible, as was the tea and the view. 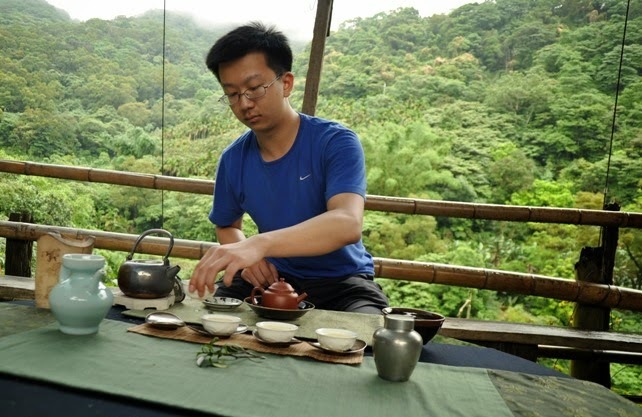 The comparative study of the high mountain oolongs was really helpful in better understanding the character of each mountain. 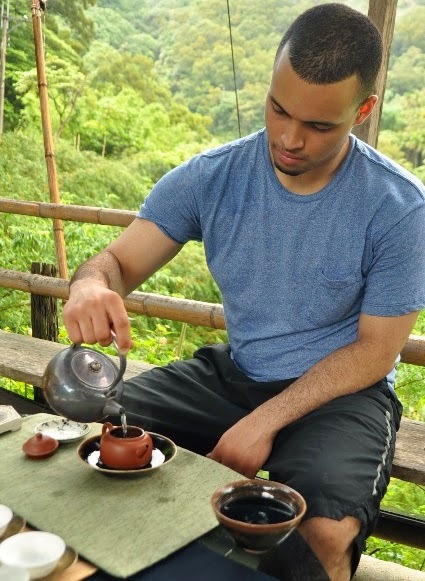 It was an amazing experience doing cha xi in the mountains of Taiwan that I will never forget! You have a way of describing everything that really evokes the time and place. I can almost taste the tea! What a great experience for the students. I'm glad you enjoyed this experience. It was touching to hear you say that you'd have to consider moving to Taiwan one day! Sharing great tea moments is what I like doing best! 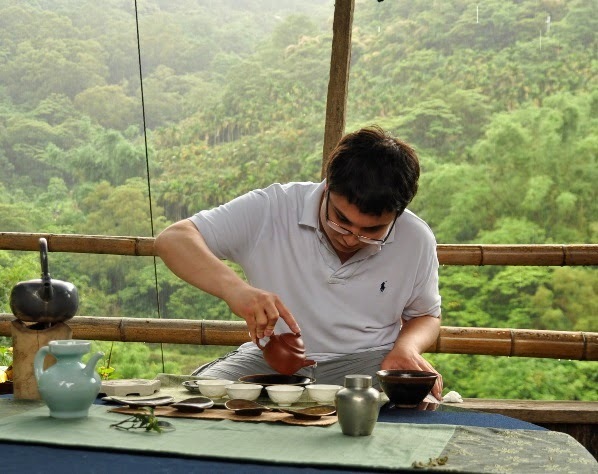 What a beautiful surrounding for tasting tea.